Bedwyn Stamps - Excellent Quality Stamps, Made in the UK. It is PH Neutral,recyclable and biodegradable. The middle seam glassines are specially made for me in the UK - they are of excellent quality and are cheaper than the side seam ones which are made by Lindner in Germany. 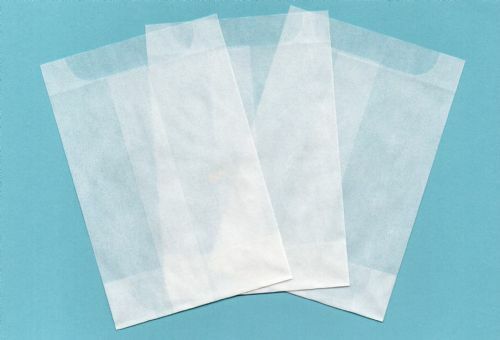 Glassine envelopes are made from pure pine wood cellulose which is 100% recyclable. I should be able to tell you when new stock is arriving.